TKO Sports Group USA Limited was founded in 1996 by Garry Kurtz. 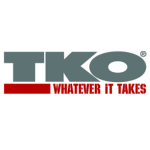 TKO was first a boxing equipment company (hence the name Technical KnockOut), but has since evolved into a health and fitness equipment manufacturing company. TKO now offers a variety of products, from boxing gloves to yoga mats, or from dumbbells to functional trainers and cardio equipment such as elliptical machines and indoor bikes. At TKO Sports Group USA Limited, we are committed to building a company that inspires the design of innovative products in the promotion of wellness and healthy living. Whatever It Takes is not just a tag line, it’s our lifestyle. We have the TKO Preacher Curl Bench for sale. Bulk orders? Call (714) 957-2765 for best pricing and custom shipping quote. We have the TKO Functional Trainer for sale. Bulk orders? Call (714) 957-2765 for best pricing and custom shipping quote. We have the TKO Commercial Hyper Extension for sale. Bulk orders? Call (714) 957-2765 for best pricing and custom shipping quote. We have the TKO Hyper Extension for sale. Bulk orders? Call (714) 957-2765 for best pricing and custom shipping quote. We have the TKO Sit-Up Bench for sale. Bulk orders? Call (714) 957-2765 for best pricing and custom shipping quote. We have the TKO Flat Bench for sale. Bulk orders? Call (714) 957-2765 for best pricing and custom shipping quote.